How to watch Kim's Convenience: Season 3 (2019) on Netflix Japan! Sorry, Kim's Convenience: Season 3 is not available on Japanese Netflix, but you can unlock it right now in Japan and start watching! With a few simple steps you can change your Netflix region to a country like Panama and start watching Panamanian Netflix, which includes Kim's Convenience: Season 3. 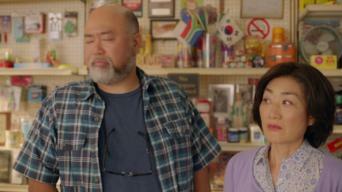 We'll keep checking Netflix Japan for Kim's Convenience: Season 3, and this page will be updated with any changes. Kim's Convenience: Season 3 is not available in Japan BUT it can be unlocked and viewed! Season 1 of Kim's Convenience has 13 episodes. Because different Netflix countries have different availability for episodes, you'll need to check the episode listing below to see which are available in Japan. Appa's plan to offer customers a "gay discount" hits a few snags. Meanwhile, Umma pressures Janet to get a boyfriend. Appa gives Janet unsolicited tips on taking better photos, much to her annoyance. Jung tries for a promotion at the car rental agency. Appa is skeptical when Gerald asks to take his photo for an assignment. Jung clashes with Kimchee at work. With his air conditioning on the fritz, Appa hires a repairperson -- who's very chatty. Jung scores a bonus for a job well done. Janet's cousin visits. 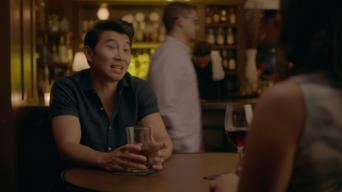 Eager to see Mr. Chin in a relationship, Appa offers to be his wingman. Janet asks Jung for help with a leaking pipe at the store. Curious how Kimchee suddenly has money to spare, Jung does some sleuthing. Appa gets into a dispute with Janet's professor over parenting styles. Jung runs into an old flame at work. Meanwhile, Appa is less than impressed with the methods used by Janet's hapkido teacher. A new female pastor strikes a chord with Appa. Jung's worlds collide when his friend starts dating his sister. Are "Best Before" dates on canned food meaningless? Appa is about to find out. Meanwhile, Jung surprises his mom by helping out at church. 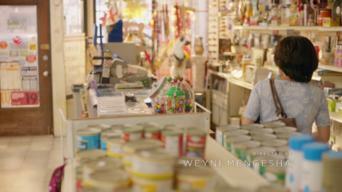 When Janet lands a new job that actually pays, Gerald steps in to fill her shoes at the convenience store. A mysterious gentleman pays Umma a surprise visit. Kimchee asks Appa for help with his broken toilet. Appa receives some distressing news, which he struggles to share. Jung accompanies Shannon to a work event. Umma tries to recruit Jung -- not Janet -- to sing at the church festival. Appa takes a shine to his swanky new ride. Season 2 of Kim's Convenience has 13 episodes. Because different Netflix countries have different availability for episodes, you'll need to check the episode listing below to see which are available in Japan. Jung worries his time to ask Shannon to go on a date is running out. Janet and Gerald are forced to put their apartment plans on hold. With a local business award up for grabs, Appa is feeling a little jumpy. Jung tries to get Shannon into cycling. Umma invites Pastor Nina to move in while her apartment is renovated. Jung crashes Janet and Gerald's trivia night. When Nayoung visits, a white lie leads to romantic chaos. Meanwhile, Umma brings a life-size cardboard cutout of Jung to the store. Janet urges her dad to step up his romance game during a date night with Umma. Jung stains Kimchee's collector-item sneakers and hunts to replace them. While visiting their future burial plots, Appa and Umma make an unfortunate discovery. A faux fight between Jung and Kimchee is caught on video. Appa and Umma learn that selling illegal face cream has a downside. Janet adopts an alternate identity to get into a film festival. 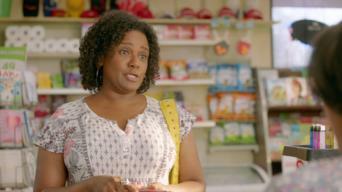 In hopes of claiming a winning lotto ticket, Janet searches for a legal loophole. Jung has a tough talk with Shannon. Umma covets a fancy coat. Kimchee tries to keep his new girlfriend from meeting Jung. Janet speaks her mind in class. Appa scores a new TV. Janet struggles to keep her parents from learning about her relationship with Raj. Meanwhile, Jung and Kimchee plan a party. 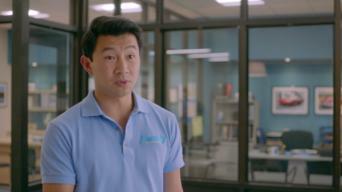 Kim's Convenience gets a noisy new neighbor. Jung becomes smitten with a new co-worker. Gerald's new girlfriend rubs Janet the wrong way. Appa inherits his daughter's old smartphone. Umma finds a stray dog in the store. Janet and Kimchee bond over dim sum. At a party to celebrate getting his GED, Jung can't ignore his feelings for Shannon. Meanwhile, Janet grows tired of standing in her brother's shadow. Season 3 of Kim's Convenience has 13 episodes. Because different Netflix countries have different availability for episodes, you'll need to check the episode listing below to see which are available in Japan.